See Troy Williams in action. It is difficult to mention Troy Williams without bringing up his experiences with the Mormon Church and his activism in the gay community. But Williams, production and public affairs director at KRCL 90.9 FM, is better known for his role in the Salt Lake City Kiss-Ins. Williams grew up in Eugene, Ore., where he was raised in the LDS church. Like others, he decided to go on a mission and was sent to England. Looking back, he says there were signs that he was gay. After returning home from his mission he was an intern with Utah’s chapter of the Eagle Forum. In Utah, The Eagle Forum is a religiously conservative anti-gay organization that focuses on affecting policy. Williams tried to deny his identity while there, but it kept bubbling to the surface. Since then he has maintained a cordial relationship with Gayle Ruzicka, the chapter’s president. “I love Gayle Ruzicka and Gayle Ruzicka loves me, and she’ll tell anybody. Gayle always says ‘I have gay friends’ and ‘I’m not a homophobe’ … Well she’s talking about me and other people that she knows,” Williams said. Although Williams cares for her, he acknowledges the negative impact she and former Utah State Senator Chris Buttars have had on equal rights. Both have succeeded in striking down legislation that would give the gay community more rights. Williams also points out that not only does this opposition help to make the community stronger, but it also helps each individual to feel more wanted. After his time at the Eagle Forum, Williams reevaluated his life and became more entrenched in the gay community. He eventually landed at the local nonprofit indie-music radio station, KRCL, which debuted in 1979. It was one of the first to put gay people on air when it introduced “Concerning Gays and Lesbians” in the 1980s. Williams has used KRCL as a type of conduit to help not only the gay community, but also the Salt Lake City public as well. “RadioActive” is a set of community features that explore the different issues concerning the Salt Lake Valley. “RadioActive” has moved from being a one-hour show on Sundays to a segment that is played each hour. Vicki Mann is the general manager of KRCL, located at 1971 W. North Temple. She said Williams is vital to the station because he oversees the community connection features, fills in as a DJ when needed and is a hard worker. In 2009, Williams took the activism out of the radio booth and onto the doorstep of the Mormon Church. Two gay men were arrested for kissing on Temple Square. In response, Williams helped lead three Kiss-ins there. Although the events were in protest, one of the Kiss-ins ended up bringing him together with his current boyfriend. Williams was in the spotlight again soon after his role in the Kiss-ins. He received a part on the “Colbert Report,” a satirical news show. He was also in “Tabloid,” a documentary about a woman who tried to seduce a Mormon away from his religion, and even met another famous Utahn. “That was like the craziest week for me because I went and and shot the Colbert piece, and then I went to L.A. and did the … film the next day, and the third day I met with Roseanne Barr in a coffee shop and developed this deep friendship that I still have to this day,” he said. Brandie Balken, director of Equality Utah, was a former co-host of “RadioActive” with Williams. Equality Utah is a civil rights organization that focuses on improving LGBTQ people’s lives through political action and educating the public about issues facing this community. Balken points out that there are more similarities than differences between Mormons and LGBTQ people. Williams agrees and points to the group, Mormons Building Bridges. Members of the organization marched in June 2012 with Williams and Dustin Lance Black, the Academy Award-winning writer of the movie “Milk,” in the Utah Pride Festival Parade. Troy Williams continues his advocacy on behalf of the LGBTQ community and his work to improve relations with the LDS Church. 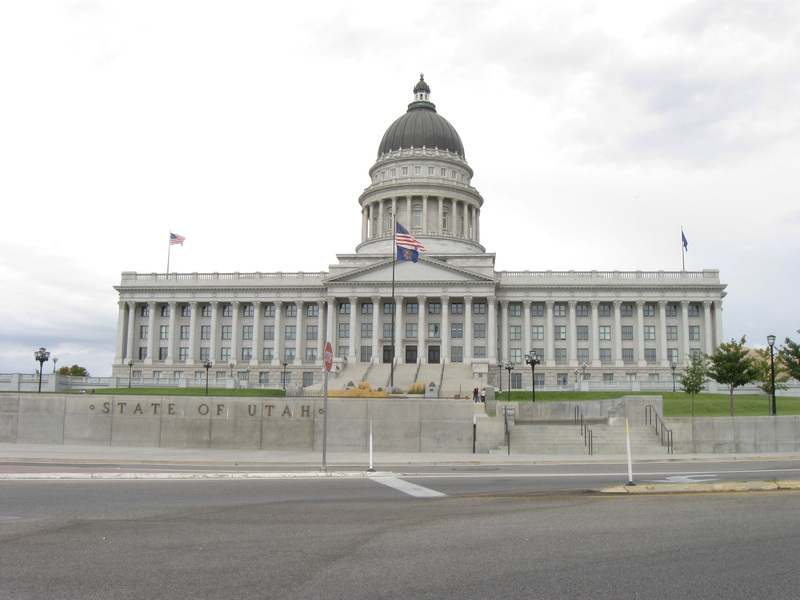 With the 2013 Utah legislative sessions set to begin on Jan. 28, the lesbian, gay, bisexual, transgender and queer community is in a political quandary. Green said the national and state elections of 2012 have made an impact on the coming year’s legislative process. “With so much turnover from the elections not every person is up to date and not every legislator is familiar with the legislative readings,” Green said. This makes it particularly difficult to have a season-long dialogue about specific legislation, Green said. (1) Fair housing and employment (SB 51). Currently, Utahns can be evicted from their house because of their sexual orientation. (2) Expanding health care (HB 64). Currently, lesbian and gay individuals cannot visit a loved one in a hospital. (3) Relationship Recognition (SB 126). (4) Inheritance. LGBTQ individuals are unable to claim inheritance when their partner dies. During the 2012 legislative sessions, Utah’s Sate Capitol Rotunda was the site of a rally organized by Human Dignity Utah. The purpose of the rally was to encourage Utah legislators to ratify the Common Ground Initiative. The rally drew more than 100 people — some carried signs, others sang, but all were there to show solidarity in their quest for equality. Five speakers addressed the audience and the dozens of lawmakers who watched from the third-floor balcony surrounded by armed Utah Highway Patrol officers. Kathy Godwin, president of the Salt Lake Chapter of Parents, Families and Friends of Lesbians and Gays (PFLAG), told the crowd that the majority of Utah citizens and businesses want equal protection for the LGBTQ community. She also said that approximately 70 percent of Utahns encourage state legislators to give civil rights to the LGBTQ community. Higham said that Utah legislators are misinformed regarding what the people of Utah want. He said it’s the job of all Utahns to remind lawmakers that they are in office to work for the people, not just their agenda. The Common Ground Initiative failed. All four bills went unheard and were effectively tabled. Awareness is a compelling issue among the lesbian, gay, bisexual and transgender (LGBT) community. “Our biggest obstacle on Capitol Hill in Utah is awareness,” said Brandie Balken, Equality Utah’s executive director. She said a lack of understanding regarding the rights of the state’s LGBT citizens daunts advocates. Envisioning a fair and just Utah is Equality Utah’s hope. “Equality means all of us,” Balken said. Equality Utah, located in downtown Salt Lake City, was established in 2001. It is the state’s largest civil rights organization for LGBT Utahns. 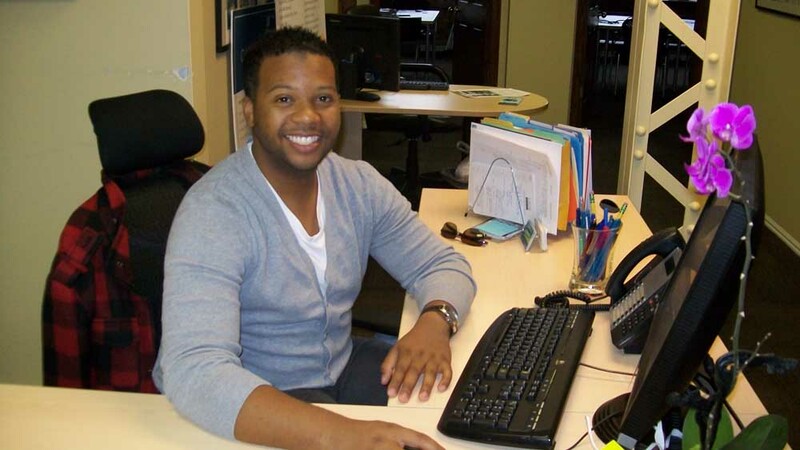 Max Green, a University of Utah alumnus, has been Equality Utah’s advocacy coordinator since December 2011. Max Green with Equality Utah. Green said he conducts citizen-lobbying and advocacy trainings to educate people about LGBT concerns. He alerts individuals to help make political changes that will bring equality to Utah’s LGBT community. He said the primary goal of these trainings is to increase the number of supporters who will vote for more fair-minded officials. In 2008, UCLA’s Williams Institute used data gathered from the U.S. Census Bureau to estimate Utah’s LGB population at between 47,000 and 63,000. In its mission statement, Equality Utah advocates to secure equal rights and protections for LGBT Utahns. Along these lines, Green addressed the concern of self-disclosure. He said there are safety factors involved. “It’s not necessarily safe for everyone to come out,” he said. He said many youth end up homeless when they come out to their parents. This survey was conducted by the Volunteers of America Youth Drop-in Center, Salt Lake County Youth Services, the Utah Pride Center and Valley Mental Health. The report was based on youth aged 15 to 24. Another result of inequality and unfairness is suicide. As a member of Utah’s LGBT community, Green lost three close friends – in the course of junior high school through college. “Not as a result of their sexuality, but their treatment because of their sexuality,” Green said. Green said he not only wants Utahns to be aware of the LGBT concerns, but also for the LGBT community to be aware that change can and is happening. In 2011, two Utah school districts, Salt Lake and Park City, passed an anti-bullying policy that includes sexual orientation. This is enforced among students as well as school employees. Also involved in promoting equality for LGBT Utahns is the Human Rights Education Center of Utah (HREC), founded by Carla Kelley. She serves as HREC’s executive director and advocates against bias, bullying and discrimination of LGBT individuals. “We have no right to dehumanize any human being,” Kelley said. Kelley is not a member of the LGBT community; however, she is a single mother of three with one son who is openly gay. Civic Ventures recognized Kelley as a social entrepreneur over 60. She also has received several acknowledgements for her humanity efforts. In 2009, Kelley was named Wasatch Woman of the Year by Wasatch Woman Magazine. Kelley explained that it would be beneficial for individuals to check their biases and ask, “Why do I have these?” Kelley said self-awareness of personal biases can help individuals better understand inequalities through association. Equality Utah’s website details ways for individuals to get involved. Similarly, HREC has information on how to advocate for LGBT rights. The Gay, Lesbian & Straight Education Network (GLSEN) released on Sept. 5, 2012, the 2011 National School Climate Survey, which outlined the experiences of more than 8,500 LGBT students in all 50 states. The survey found “6 in 10 LGBT students reported feeling unsafe at school because of their sexual orientation.” This marks the first significant drop in bullying based on sexual orientation. GLSEN credits schools and districts with helping to prevent bullying and harassment. Locally, Equality Utah and the LGBT Resource Center at the University of Utah can be credited with helping school districts to implement bills and provide services regarding LGBT issues. Equality Utah is a nonprofit organization that focuses on providing equal rights for all LGBT people and their families through helping politicians get elected as well as affecting policy through advocacy. In 2008, Equality Utah helped pass a bill, H.B. 325, which created a definition of hazing and bullying as well as set “the minimum standards for bullying and hazing policies in local districts and charter schools.” Two years later, cyberbullying and verbal harassment were included in the criteria of forbidden activities. “Bullying has changed,” said Equality Utah Director Brandie Balken regarding cyberbullying. Balken said Equality Utah is working to prevent bullying for any reason and pointed out that it has helped two school districts, Park City and Salt Lake City, to adopt policies preventing bullying and discrimination. Despite those policies, students still suffer persecution because of their gender identity or sexual orientation. Allison Shepard is a student at the University of Utah. She said she was bullied in high school when people discovered that she was bisexual. She said people need to stand up for themselves when being bullied. “If a bully says that you’re a loser, prove them wrong,” Shepard said. Shepard is originally from Chicago and came to the U to study nursing. She said that while progress is being made due to efforts by organizations like Equality Utah, the process is a slow one. “I do believe that Utah is slowly becoming more intolerant of bullying,” said Shepard, who plans to graduate in May 2013 with a bachelor’s in health promotion and education. There is truth to Shepard’s statement. In a 2009 study conducted by the Child Trends Data Bank and the Centers for Disease Control and Prevention, one in five high school students reported being harassed at school. But the GLSEN study found that more than 80 percent of LGBT students were verbally harassed in 2011. 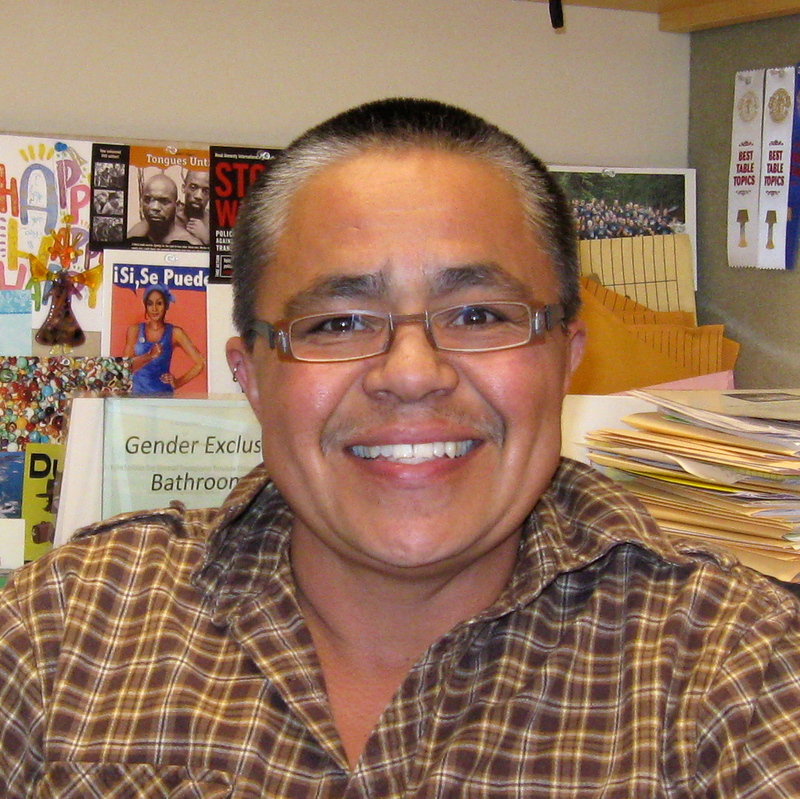 Kai Medina-Martínez became the director of the LGBT Resource Center in 2007. Kai Medina-Martínez is the director of the U’s LGBT Resource Center, which provides information on LGBT issues as well as sensitivity training for allies. Medina-Martínez, who prefers the gender-neutral pronoun “they,” equated the higher occurrence of bullying in the LGBT community to a societal stigma. Medina-Martínez said bullying is a problem for every group. However, they pointed out that in order to prove that bullying is a hate crime, a victim must demonstrate that sexual orientation was a factor. Medina-Martínez said in order to help stop bullying, society needs to be more aware and look for signs that include: loss of interest in school and school events, trouble sleeping and nightmares, declining grades and increased fighting in school. “The secrecy around bullying keeps the cycle going,” Medina-Martinez said. 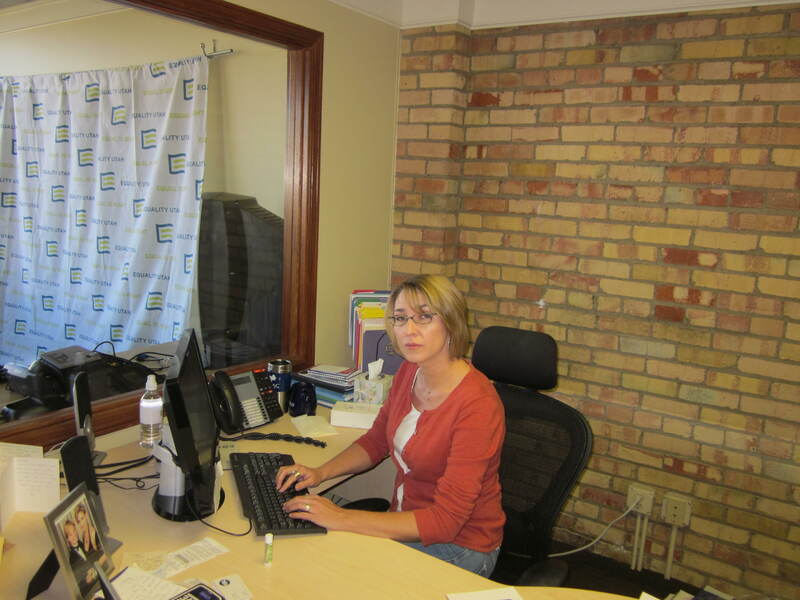 Brandie Balken, executive director of Equality Utah, works in her office October of 2012 in downtown Salt Lake City. Fighting for equal rights in behalf of the lesbian, gay, bisexual and transgender community isn’t just about marriage — it is much more complex than that. Brandie Balken, executive director for Equality Utah, expressed frustration that the public views gay marriage as the main issue. The LGBT community has to fight hard for the same human rights that straight people generally take for granted. Rights like visiting loved ones in the hospital, transferring health and retirement benefits to a partner and being recognized as a non-biological parent are some things that Balken has had to fight for with the costly help of a lawyer. Tooele County Justice Court Judge John Mack Dow, who practiced law for 21 years prior to being named judge, talked about the differences between rights for straight and gay relationships. Balken has forked over the money to work with lawyers to become the medical decision-maker for her partner. When going on trips, Balken makes sure that she packs her paperwork and legal documents, just in case something does happen. Niki Corpron, a registered nurse at Intermountain Healthcare hospital in Murray, said the hospital has strict policies regarding who can or can’t visit during an emergency. Balken is not only fighting for herself and her own family, but as executive director for Equality Utah she also is working for equitable rights for all in the state. Balken said Equality Utah was founded in 2001 as a political action committee, or PAC. The purpose of a PAC is to help people get elected into office. Equality Utah also fights legislation that seeks to disallow equal rights to gays. She said that in the nation marriage is basically a state-by-state determination. Some states allow marriage, some states allow civil unions and some states, like Utah for one, prohibits any or all marriages or civil unions. Therefore, in Utah, equal rights are an uphill battle for Equality Utah and the LGBT community. One piece of legislation Balken mentioned was a constitutional amendment that passed in 2004 penned by Rep. LaVar Christensen (R-Draper), which was called Amendment 3. Balken also knows that it takes multiple approaches to educate the public about equal rights. Equality Utah works to get more fair-minded people in office, from the school board all the way up to the state house, to sustain achievable cultural change. Although it is a long road to travel for equal rights, Equality Utah has had some success in passing some legislation. Balken said the organization passed in 2007 a bullying and hazing statute and a hate crimes prevention law.